Wits Education Campus clinic to reopen doors. The Wits Education Campus satellite clinic will open for the first time this year on Monday, April 9. The clinic has not been open this year as there had been budget constraints that resulted in staff shortages. The incoming nurses have been hired under the Campus Health and Wellness Department’s new strategy. The clinic has also hired a clinic doctor and occupational health nurses that are responsible for ensuring staff health. Moloi told the Wits Vuvuzela that the clinic will be run daily by a nurse to assist all students at the Education Campus. SRC Campus Wellness Officer Palomino Jama told Wits Vuvuzela that she had been trying to meet with Moloi to understand the challenges faced by campus health. Jama said that she was aware that there has been a shortage of staff at the Satellite clinic. “The issue at Education campus baffles me. I do not imagine a situation where we are not adding nurses but replacing ones that have left. That does not solve anything,” she said. 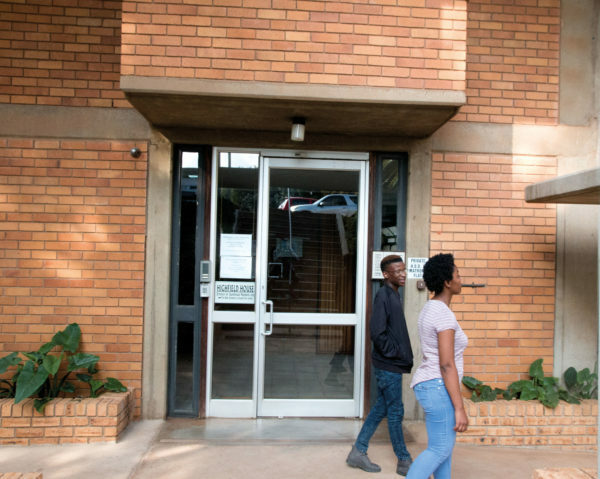 Third-year BSc Physiotherapy student, Panashe Furusa, told Wits Vuvuzela that students were not informed that the clinic would be opening this month. Furusa, who had flu which progressed to Laryngitis and caused her airway to start closing, had to go to the Main campus clinic for medical assistance. “If I had been a student that didn’t know the body, I would have panicked and that would’ve further aggravated the inability to breathe,” she said. The clinic’s new strategy aims to improve services to be able to help students further. Wits Vuvuzela, Witsies to get free snips on campus, March 2018. Wits Vuvuzela, Wits academics in TB diagnosis breakthrough, March 2018.